Valley of flowers is the epitome of the miracles adorned by Mother Nature. 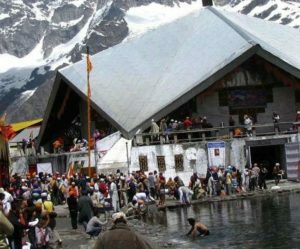 It is the world famous trekking location that lies in the interiors of Garhwal Himalayas and departs the beauty of Bhyundar Ganga. The words like backpacker’s paradise and photographer’s delight proves to be small in front of the abode of beautiful picturesque aura, it offers to the visitors. 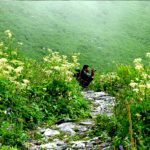 If you want to enjoy the enchanting beauty of the nature away from the hustle bustle of the city or so called civilization route, then The Valley of Flowers will serve you the most pristine adventurous experience. It is UNESCO World Heritage Site that is an important part of Nanda Devi Biosphere Reserve that is known to welcome its visitors during the peak months between June to September with the astonishing range of beautiful flowers of varied colors and shapes. Not only this, this beautiful picturesque location lets the visitors enjoy the presence of some rare species such as red fox, blue sheep and many others. One can enjoy the floral pastures and captivating mountains along with running streams while visiting this mesmerized place. 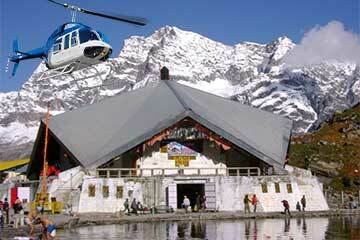 Explore the majestic view of the green surroundings followed with the glistening snowy mountains of the Himalayas. 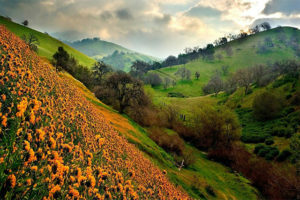 Valley of Flowers is the mesmerized and most enchanting valley of India. 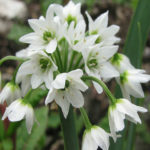 It displays the galore of the colorful flowers and green meadows and departs the miracle of the Mother Nature. 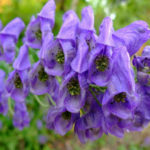 The floral splendors of the Valley of Flowers appeared after the mountaineer Frank S. Smythe explored the location in 1937. However, this enchanting valley attained the status of National World Heritage in 1982. 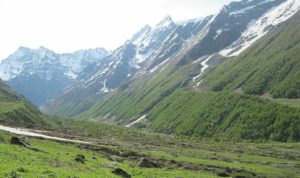 Valley of Flowers offers a natural walk into the epitome of flora and fauna. 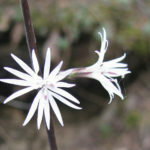 It boasts of more than 300 species of rare and endangered species of flowers. 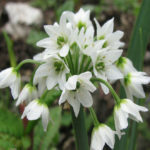 Some of the rare species are Calendulas Daisies, Poppies, Orchids and Primulas. On the fauna front, it offers direct interactions with the Himalayan black beers, snow leopard and blue sheep. 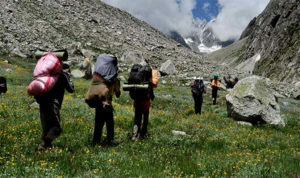 In addition with the sprawling Flora and Fauna, this mesmerizing location avails of the most famous trekking destination. Adventure freaks loves to explore this place and capture the captivating views in their cameras. 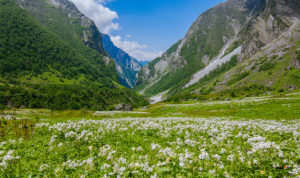 Valley of Flowers is a wonderful trekking destination that will imprint the images of the captivating scenery of the locale. You can easily keep the images as a memoir of the trip. What are the Health Issues One Has to Deal With Trek to High Altitude Locations? 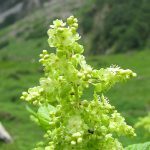 Is It Safe Travel To Valley of Flowers? 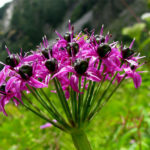 How to Prepare for High Altitude Trek Just Like Valley of Flowers Trek? Stunning beauty with decent trip arrangements…..
We visited Valley of Flowers with 4 of family members in July 2016 with Global Connect Hospitality. We arrived at Haridwar by train & stayed in pre-booked hotel, the hotel was good enough for one night stay. 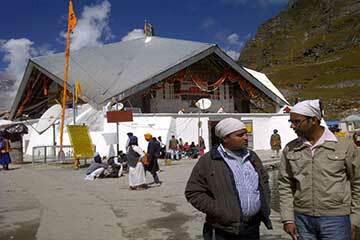 Next day early morning, we left hotel for Joshimath. Almost full day travel by Innova. 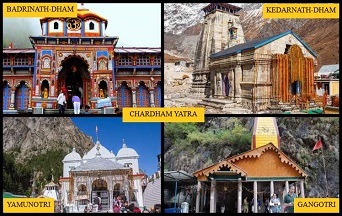 We got drop from Joshimath to Govind Ghat to start the trek for Ghangharia, which is moderate and can be done comfortably by anyone with normal fitness, the best thing was that entry ticket was pre-booked for us, it enables us to start early morning for the Valley. It took just 4 hours to reach the valley. Surrounding was amazing. At few points, the trek was wet and slippery. So, better to take walking sticks during the trekking. We enjoyed there the beauty of the valley which was beyond our expectation & since none can stay at the valley in the night so we had returned back to Ghangharia at 4:30 PM. It was certainly a whole life experience……thanks for everything arranged for the amazing trip!! 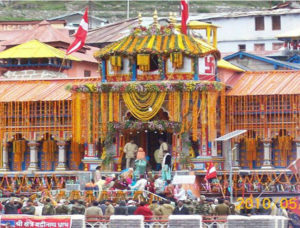 Can be found between Govindghat and Ghangaria.